The August month for Microsoft Windows 8/8.1 users came with a surprise. The updates from the Microsoft arrived on schedule but this time there was an erratic behavior in one of the updates. The update MS14-045 can make using the fonts in Windows 8/8.1 a trying experience. 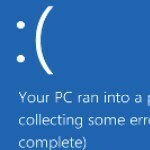 This update may lock the fonts, render them incorrectly or in the worst case scenario throws the dreaded Blue Screen of Death (BSoD) on your screen. Listening to the outcry of the Windows users, Microsoft has issued a guideline for removing this update from your Windows. This excerpt appears with the permission of Windows Guides. Windows Guides windows update. permalink. It’s important that people who have the problem can remove its cause – thanks for the link. On the other hand, I have two Win 8.1 installations (32 bit and 64 bit) and both work fine. So not everyone has had a problem. An update just killed our server… caused by absolutely nothing we did wrong. The out WAS a reformat and re-install. Two weeks later we are still trying to recover. Not fun. It is only a matter of time till MS does an update that crashes the machine so badly the only out is reformat and reinstall. It will be some last minute tiny change that does not get exhaustively tested on a huge farm of test machines. At some point we need to design the OS, so you can ALWAYS back out an update. We have plenty of disk space for such a feature.